The photo may be from the sixties. The distinctive appearance of these ships always fascinated me but I found them unusual rather than attractive. Thanks for posting. There is a thread in Forum topics titled LR/IMO numbers on older vessels. Numerous exchanges detail 6 vs 7 digits. 7 numbers started '69-6 before? See attached link for Christopher Lykes photo on this site…. Hello you two, thank you for your opinions. If I had to decide now, I would tap Christopher Lykes. 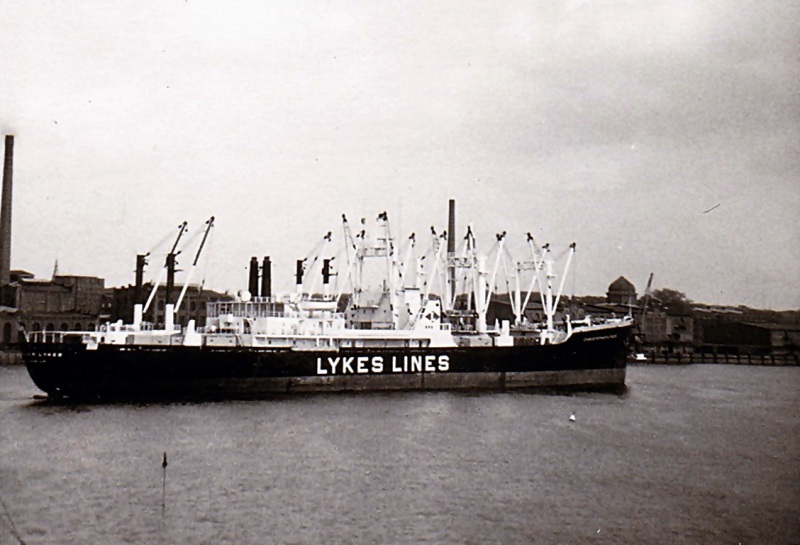 Which IMO number did Christopher Lykes have? This photo has been shown 567 times since it was added to the site.